Google Chrome has become so good that when it comes to affordable, quality laptops, it’s a better buy than a cheap Windows device. So Microsoft needs a lightweight OS to compete, and it’s really hoping that the education-focused Windows 10 S will be that OS. 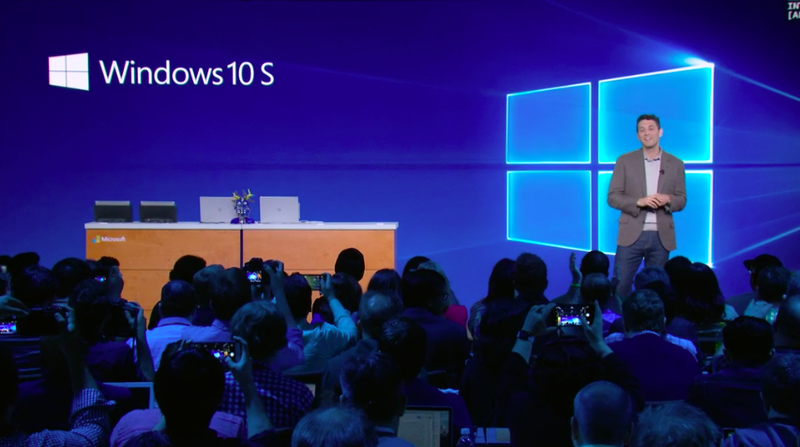 Windows 10 S is Microsoft’s new lightweight operating system. It’s meant to be cheaper and less processor intensive than Windows 10 Home or Pro, the versions of the OS found on most laptops and desktops today. There are far fewer programs running in the background. According to Microsoft, a laptop running Windows 10 S loads a user profile (including apps and preferences) 15 seconds faster than an identical laptop running Windows 10 Pro. If you’re in school or work at a school, this is a big deal, as it will make it easy to standardize computer use across a campus (the bulk of today’s announcement presentation was focused on teachers and IT workers in schools). If you’re not in education, Windows 10 S is probably going to be a bad deal. But we won’t know until we start seeing computers with Windows 10 S built in. If the hardware is good enough and cheap enough, it could be a descent hobbled OS competitor to Chrome OS, and at least it will run the full Microsoft Office suite. Hasn’t Microsoft made a lightweight OS before? Yes! Windows 10 S is not Microsoft’s first attempt at a lightweight OS. At CES in 2011, Microsoft introduced Windows RT, a mobile-focused variant of Windows 8 meant to cut cost but keep consumers lashed to the Windows wheel. Unfortunately, RT was super limited in what it could do. The big problem was apps. You couldn’t use older apps or anything cool, unless it had been updated for the Windows Store. And the Store was bad—often charging a fee for apps that would be free on a non-RT computer. RT also took up a lot of space on laptops, which left you paying more for storage or suffering with only 16GB of space on a 32GB storage drive. After Microsoft stopped updating RT in 2012, it focused its efforts on a new product, Windows 8.1 with Bing. This was a more full featured “lightweight” OS than RT, but it still required you to get apps from the Windows Store, and it was subsidized by the less-than-stellar Bing search service. That meant you had to see ads on your desktop, and worse, you had use Bing regularly. Windows 8.1 with Bing could only be installed at computers by manufacturers. Unfortunately, the OEMs were apparently not crazy about the subsidized OS. How is this like previous lightweight Windows builds? Windows 10 S seems to borrow some ideas from both of its lightweight, low-cost predecessors. Which means apps can only come from the Windows Store. (though Digital Trends suggested a future update will allow you to install any app you like). That’s a bummer, but at least the Store has drastically improved since 2014—the last time Microsoft demanded we use it exclusively. Microsoft claims this move is about security. By limiting installs to products from the store only, it’s unlikely that a simple app install can infect a computer with a virus or dramatically disrupt the OS. That’s useful if the Window 10 S machine is in a classroom full of kids who don’t know how to browse safely—and one of the reasons Microsoft has elected to brand Windows 10 S as a solution for educators. For the rest of us, it’s still a frustration. While the Store now has useful apps like Microsoft Office and Adobe Photoshop Express, it’s lacking a lot of other big apps—like Chrome. Which means if you want to browse the internet on a Windows 10 S device, you’ll need to be prepared to embrace Microsoft Edge. A number of inexpensive laptops from major computer manufacturers including Dell, HP, and Acer. The cheapest laptop will start at just $189. It costs nothing, as it’s only available pre-installed on devices or through a vendor used by tech agents for schools. But if you are using a Windows 10 S device and are tired of being stuck to the Windows Store, you can upgrade to Windows 10 Pro for free, if you’re a student, and for $49, if you’re not. 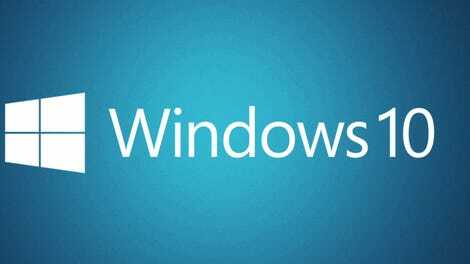 Windows 10 S is expected to launch this summer.